How soon is too soon? I'm already starting to think about things postpartum. You all know that I am a little OCD and I like to be really, really organized and such. Just starting to think about things coming up in the next few months. And I knew that February and March were going to fly by because HELLO! IT IS ALMOST APRIL! Scary! Anyhew. So how soon is too soon to get back to it after baby? I don't know. I didn't have this running hobby of mine when I had Mason. I wasn't able to go to the gym or exercise outside of the house regularly. But in June is the 4 miler training program again. I really want to be a volunteer this year. Last year I was encouraged to sign up by a couple of friends, so I did. But I'm thinking about making it official and really doing it. But I will be no less than about 2 weeks postpartum if we have the baby at the absolute latest we can have him (May 28). And what can I really do when I know I won't be running? And he will be with me on the Saturdays that I am there to help out. Am I allowed to walk a mile or two post baby that soon after? Will I want to? 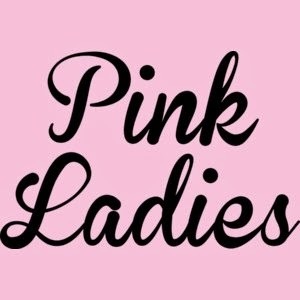 I have encouraged a few friends to make the commitment and to sign up and participate in the program and I would love to be a Pink Lady to help encourage them along their summer journey. But this is what I am on the fence about right now. Should I sign up and go to help out as often as I can? Make the commitment now and just do it? What do you think? HELP!